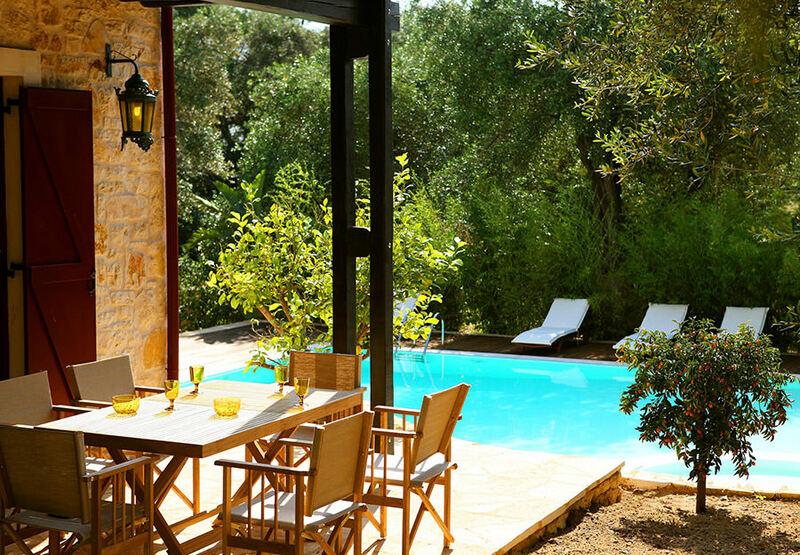 Set on a secluded hillside, amidst lush olive groves, Thalia Estate consists of 1 villa and 2 bungalows surrounded by a beautiful garden with a pool. The beach of Agios Spyridonas is 500 metres away. 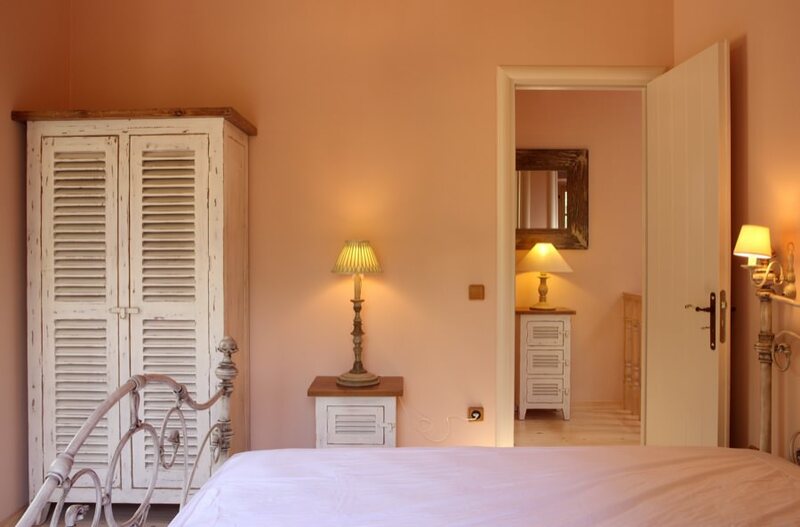 The stone-built holiday complex features romantic, country-style interiors with distressed wood furnishings, organic materials and hand-painted details. Each unit consists of 2 bedrooms, a living room and a fully equipped kitchen. Among others facilities include a SMEG fridge, espresso coffee maker, washing machine and flat-screen TVs with DVD player. Guests can enjoy the views from the sea-view balconies, sit on the shaded, furnished patios or relax on the hammocks in the garden. 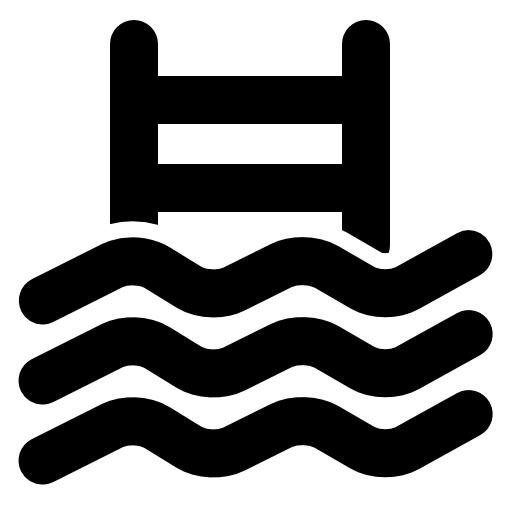 Wooden sun loungers can also be found on the deck around the pool. Free Wi-Fi is available throughout the estate and free private parking is also possible. The nearest beach is 50 metres away from the complex, while bars, restaurants, horse riding & bicycling facilities, fishing, scuba diving and a playground can also be found within proximity. 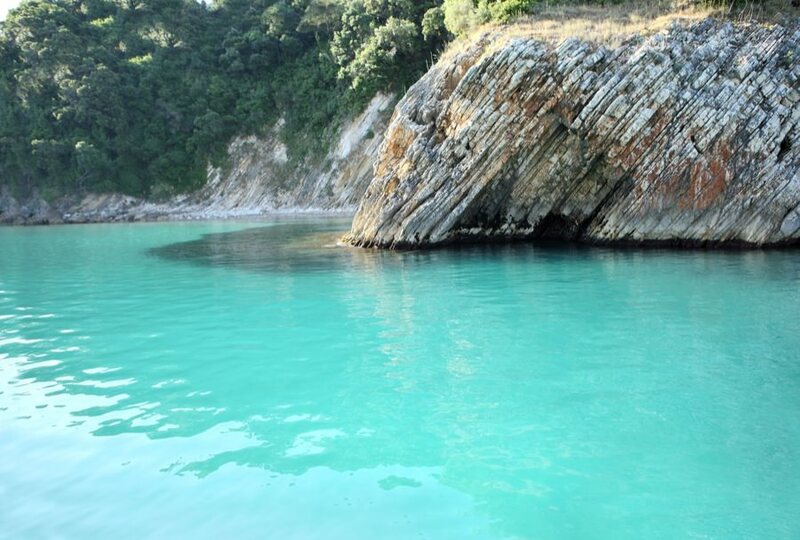 The main town and port of Corfu are 40 km away. Thalia’s staff can arrange for super market delivery, as well as meals delivery service. Thalia Estate features a large amount of amenities to every visitor. Thalia Estate contains a big amount of rooms and features. 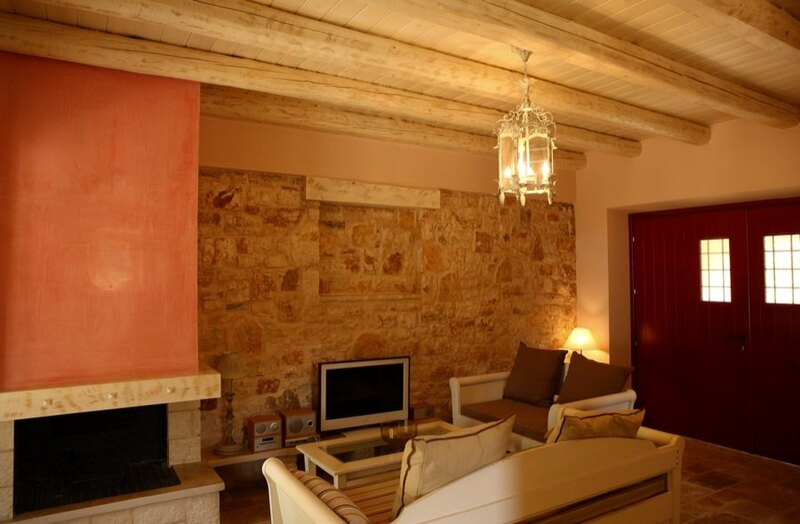 Every room of the property offers a luxury feeling to the accommodates and is extremely well equipped. The nice gardens alongside with the private pool and the beach are making Thalia Estate the ideal destination for unforgettable vacations. Thalia estate contains 3 living rooms, 1 at the villa and 2 at the bungalows. All of them are fully furnished with sofas and chairs. Moreover, there are flat-screen TVs and DVD players and fireplaces for each one of them. The 3 living rooms of Thalia Estate can relax up to 12 persons. Thalia Estate contains 3 independent kitchens, 1 at the main villa and 2 at the bungalows. 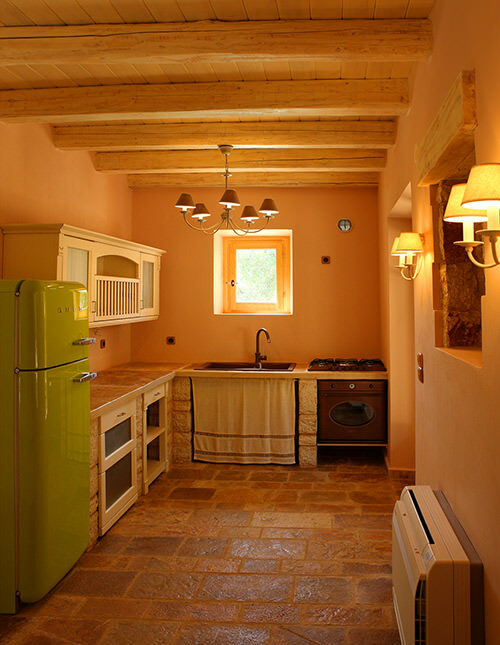 Each one of Thalia's kitchens is well-equipped, containing fridges, cookers, coffee-makers and everything else that a visitor might need. Thalia features 6 bedrooms in total, 2 at the main villa and 2 in each bungalow. The 3 of them are double and the rest are twins. Thalia Estate can sleep in total up to 12 persons. The capacity of the property can be extended to 16 accommodates by charging an extra fee. Thalia Estate features 4 bathrooms, 2 of them are located at the main villa and the rest, at the bungalows. The main villa features a big family bathroom with bathtub. 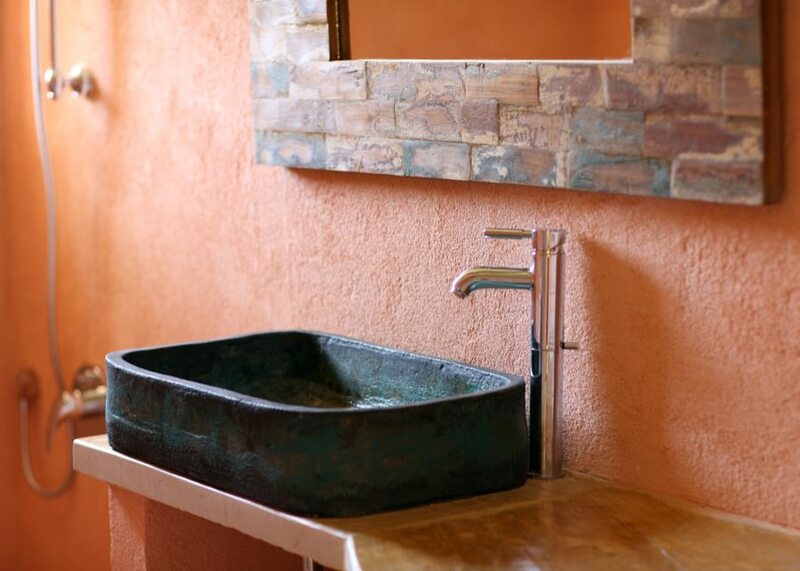 Each shower room of the bungalow, offers a luxurious feeling due to the artistic touch of the owner. Thalia Estate consists of the main villa and 2 bungalows. 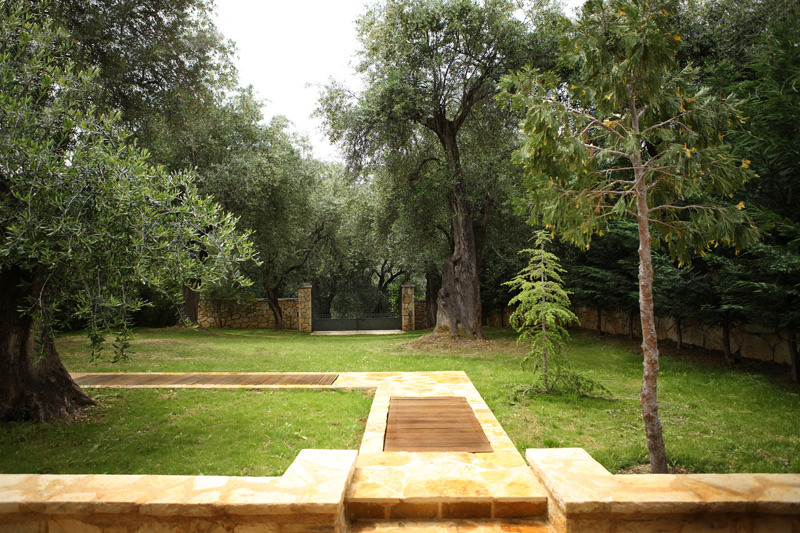 Every building of Thalia Estate is made with stone and wood which fits perfect with the nature of the location and the surrounding olive trees. Thalia Estate features a big swimming pool surrounded by nice gardens and sun-beds. Relaxation is the most important reason for holidays. Thalia's pool is a strong feature that will relax every guest not only during the day, but also at night where its lights can be opened. Thalia's private gardens are an extra piece of nature inside the property's area. 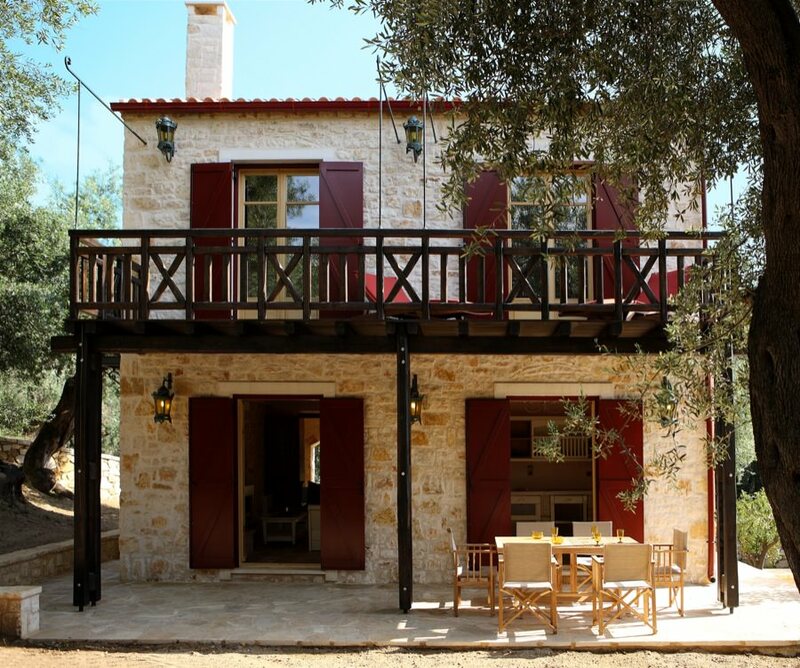 The location of Thalia Estate is already at the heart of nature, surrounded by olive trees. But except that, a private well-kept garden with nice decorations will extend the nature-feeling even more. Thalia Estate features a beach, only a few metres away. Thalia Estate, except the swimming pool, has a private road to a magnificent, quiet beach which is only metres away from the property. The beach is semi-private as long as it can be used from another neighbour villa.